Join us TODAY at the 11th annual DisABILITY Sports Festival! The DisABILITY Sports Festival is a free, one-day event that provides opportunities for people with disabilities in SoCal to try more than 25 different sports and activities, and connect with local clubs, leagues & programs in their community. The event is open to people of ALL ages with ANY disability. The event was created by Dr. Aaron Moffett to increase the quality of life and health of people with disabilities by introducing them to sports and physical activity opportunities, and to educate the community about the potential and successes of people in disability sport and physical activity. 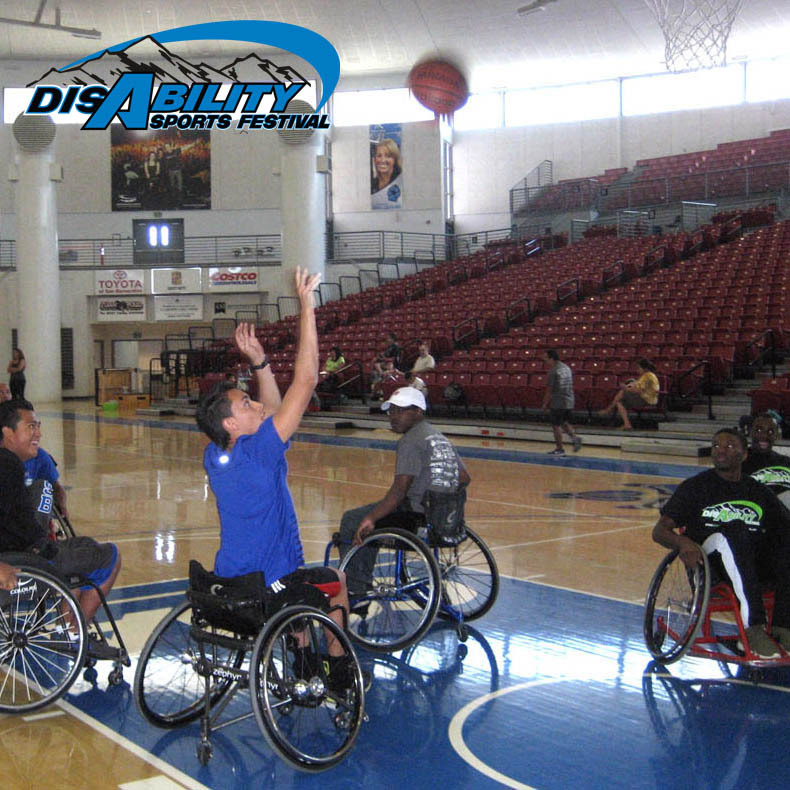 The DisABILITY Sports Festival is 100% volunteer run and provides a service learning opportunity for CSUSB students. Come by and see us, along with many of our adaptive sports partners and peers, including Triumph Foundation, California Adaptive Rowing Program, Skate Connection, Blind Judo Foundation, PossAbilities / Loma Linda University, Rolling Bears Wheelchair Athletic Association, See No Limits Archery, US Power Soccer Assoc / So Cal Vaqueros, and Organization for the Physically Impaired (OPI). Newer PostDive into Adaptive Swimming with Angel City Sports!